Wellington, the nation’s capital, has a great deal to offer visitors. It is celebrated for its compactness, creativity, culture and award-winning hospitality. It offers a range of entertainment venues, restaurants, boutiques, markets, galleries, cafés and bars, all in a two kilometre wide city centre enclosed in a magnificent setting. It is regarded as the country’s cultural and creative hub. With street art, live music and theatre, Wellington is full of sights and sounds to engage the visitor. It is also the home of the country’s world-class movie-making talent, production, technologies and special effects facilities. Wellington is a food and beverage mecca. 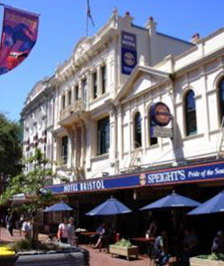 It is the craft beer capital of New Zealand, with numerous boutique breweries in and around the city centre. It is home to an extraordinary number of cafés and roasteries. 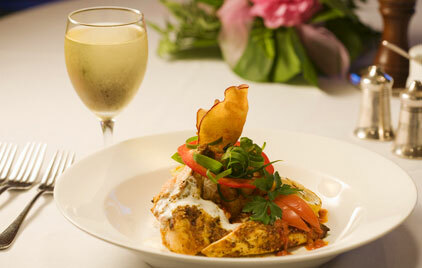 The city’s restaurants, among the country’s finest, serve a huge range of cuisines and styles. 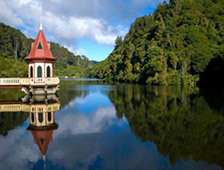 In addition, Wellington is just an hour from one of the country’s premier wine-making regions, the Wairarapa. The city offers much to the outdoor enthusiast, with hundreds of hectares of open space and forest for walking, running and mountain biking. Wildlife sanctuaries and gardens offer opportunities to interact with native flora and fauna. Forest parks are on the city’s doorstep and the city’s harbour is hugely popular for rowing, yachting, fishing and swimming. 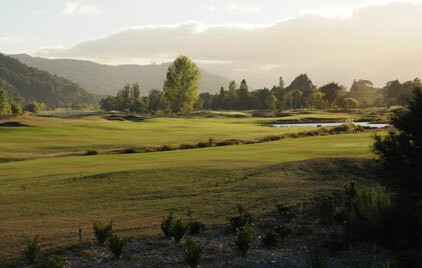 The Wellington region’s array of 27 golf courses are designed to make the most of the areas beautiful landscapes. From stunning marquee courses to charming community clubs. Wellington is the ultimate golf destination. 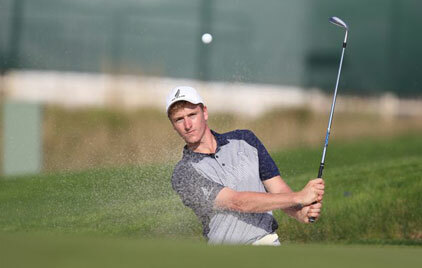 Find out about this and how to get to Wellington, Golf courses, Accommodation, Experiences, Pre and Post activities, New Zealand Marquee Golf Courses and Inbound Tour Operators. Te Papa Tongarewa / Museum of New Zealand is the country’s national museum and art gallery. A hugely popular attraction, with free entry, it has permanent exhibitions on New Zealand’s geology and natural environment, New Zealand’s indigenous people, the Maori, and Pacific culture, as well as art, history and heritage. These are complemented by an ever changing array of local and international exhibitions. 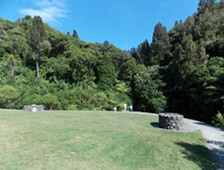 Zealandia – the Karori Sanctuary Experience is a large (225ha) urban island sanctuary, where native fauna – reptiles and birds – live predator-free behind a specially built fence. The sanctuary offers the public guided tours, walks, interactive experiences, all in a beautiful location just minutes from central Wellington. Wellington’s famous cable car has been taking locals and tourists to and from the heart of the city to the suburb of Kelburn since 1902. At the Kelburn terminus is a museum dedicated to the history of the cable car. This is well worth a visit. 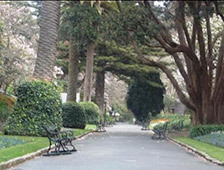 The cable car’s terminus at Kelburn is just one entry point to Wellington’s Botanic Gardens. Occupying land close to the city between Kelburn and Thorndon, the gardens, established in the 1860s, are full of indigenous and exotic flora in a beautifully landscaped setting. 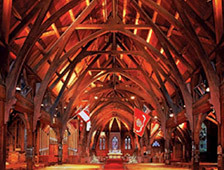 Completed in 1865, and added to seamlessly in the following decades, Old St Paul’s is New Zealand’s finest timber Gothic church. Its interior, full of native New Zealand timbers, is its crowning glory. Now owned by the Government, Old St Paul’s is open to the public most days. Located on the entrance to Queens Wharf, in the former Wellington Harbour Board head office, the Wellington Museum is dedicated to offering an insight into the rich social and cultural history of Wellington. 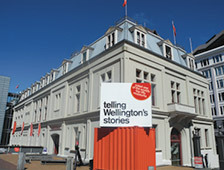 It uses interactive devices and exhibitions to engage visitors on a journey through Wellington’s past. Wellington’s bohemian, alternative street is the place to shop, eat or just wander to get a taste of a different side of the capital city. 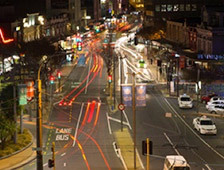 Wellington’s nightlife is concentrated in and around Courtenay Place, which runs east-west for two blocks in Te Aro. Frequented by tourists and locals during the day, the area comes alive at night, particularly after 11pm. 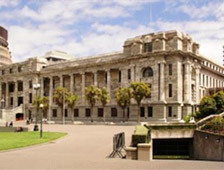 Sitting opposite each other at the intersection of Lambton Quay and Molesworth Street, the nation’s parliament and the former home of the civil service are two of the city’s grandest buildings. You can take a guided tour of Parliament. Government Buildings, possibly the largest timber office building in the world and now home to Victoria University’s Law Faculty, has interpretation on its ground and first floors. Opened in 1926, the Otari Native Botanic Garden is New Zealand’s only botanical museum. It adjoins Wilton’s Bush, the most complete remnant of the original forest that once covered Wellington. Located in the suburb of Wilton, the reserve includes picnic areas, walking tracks and the unique collection of native plants.